Dodoma, Tanzania, Nov 19 2015 (IPS) - Power cuts wreak havoc on most lives, but when you have an exam the next day and you have to do well, without light to study by you are stuck. But those dark days in the dorm may soon be over. A huge joint venture between Dodoma University (UDOM) and Hecate Energy, one of the USA’s leading developers of large scale renewable energy projects, will sign light the halls and classrooms of the university. The centrepiece of this project is the construction of a huge solar farm, the first ever built on a university campus with the capacity to generate 55 megawatts of power for the university and surrounding communities. “This is arguably one of the biggest investment we have made so far to suffice electricity need for the university and surrounding communities,” Idris Kikula, Udom Vice Chancellor told IPS. According to him the project which is jointly implemented by Udom in conjunction with Ohio State University, has two phases, one of which would provide solar power to university dormitories, lecture halls, research and medical centres by mid-next year. At the main campus of the University of Dodoma students often experience power cuts which not only disrupt their study schedules but also put their academic future at stake. Increased power cuts can sometimes mean crime rates rise and people, especially women, are vulnerable to physical abuse. Increased lighting means a much safer environment for all. “It is very hard to study at night when there is no electricity. Sometimes power goes off in the middle of our group discussion or when we are chasing deadlines for submitting our assignments,” said Rukia Hamisi. The 22-year-old student who is studying mining engineering has often been forced to use a faint glow from her smartphone to study at night something which affect her academic performance. “I always try to ensure that my assignments are finished early because if I don’t submit them in time then the instructor will reject them,” she said. Hamisi is among many students at the university whose studies were badly affected by power cuts recently when the state-owned electricity firm-Tanesco announced a load shedding timetable last month to cope with the growing energy deficit. 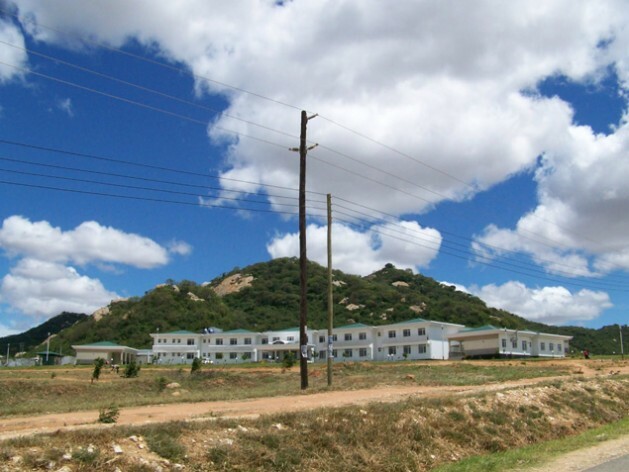 Nestled on the sun-fried hilly terrain of Chimwaga village in Tanzania’s capital city, the university is among many public institutions in Tanzania which have suffered from frequent power cuts caused by the dwindling water levels in the country’s hydropower facilities. Hydropower facilities, which generate nearly 50 per cent of the country’s electricity have lately not been producing due to water shortages caused by the recurring drought. ‘It’s virtually impossible to do anything without electricity, I need to use my computer to make my graphical designs,”said Rashid Athumani who studies civil engineering. Despite boasting huge renewable energy potential, Tanzania is still struggling to find the right energy mix to generate electricity which has become erratic due to heavy reliance on hydropower. But in a dramatic move to provide reliable electricity, Udom recently launched this solar power project as it tries to position itself as one of Africa’s leading academic institutions in renewable energy. “I am very happy for this project, once it is completed I don’t think we will experience any more power cuts at night,’said Hamisi. Udom has been spending 150 million Tanzania Shillings every year on electricity, Prof. Kikula said the new project would immensely reduce energy costs. This project is part of the university’s strategy to showcase itself as a global centre of excellence in renewable energy and sustainability. Kikula said the second phase of the project, which is expected to provide solar power to various area in Dodoma region is expected to be completed by the end of next year. Tanzania has a huge potential for renewable energies including wind, solar, biomass, and geothermal but analysts say the government has failed to tap this potential. About 36.4 per cent of Tanzanians have electricity of which 7 per cent are in rural area, the demand for electricity is growing between 10 and 15 per cent per year, according to the ministry of energy and minerals. Marty Kress, the head of the Global Water Institute at Ohio University said the Udom project would improve power availability at the university and surrounding areas thus providing higher quality of life for the majority of people. “We are honoured to partner with the Udom to make this project a reality” he said during the launching ceremony last month. The two universities are aiming to install 125 village water well systems in Dodoma with solar-powered pumps that can provide clean water and improve health and sanitation for the people in rural areas. “Solar-powered water pumps can provide clean water and improve health and sanitation for millions of Tanzanian,” said Kress. Tanzania is one of the world’s top ten countries for solar irradiation, analysts say large scale solar power projects such as this one being installed at Udom are expected to play an important role in meeting the growing energy demand of the country’s rural communities. A cross-section of rural villagers in Dodoma have expressed joy that the new project would probably end the worsening plight of water consumers in the area. “As you can see this is an arid are, it is very hard to find water, we have to travel a long distance to fetch water, if those pumps are installed it would help us a lot,” said Salima Farijala, a resident of Bahi.